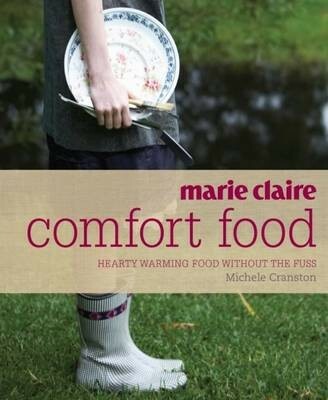 "Marie Claire Comfort Food" celebrates the success of "Fresh + Fast" by presenting more than 100 exciting recipes from Michele Cranston in the same delicious format. Each dish focuses on the organic link between fresh ingredients, wonderful food simply prepared, and good health and vitality. From energy-packed breakfasts to hearty soups, from rich roasts to enticing salads and luscious desserts, the healthy recipes in "Comfort Food" will inspire and delight. This title is suitable for novice cooks as well as those with lots of experience in the kitchen. It offers food that is perfect for everyday, but would also suit the most fabulous of special occasions. It includes over 100 wonderfully simple yet delicious recipes, focusing on healthy ingredients.